Like what we're doing? Share it! Accounting is one of the most important aspects of a business, and even more so with a non-profit business like a booster club. When most people managing a club start to think about bookkeeping and booster clubs accounting software, it seems impossibly complex – especially when you aren’t familiar with bookkeeping terminology and best practices. 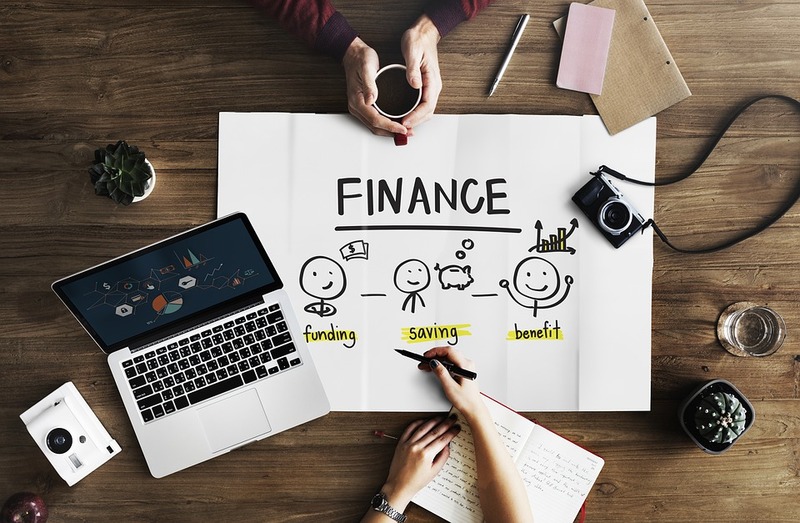 Finding an accounting program that you can learn easily and that assists you to manage your booster club finances helps ensure that your accounting will be efficient and precise. Booostr has researched five accounting programs that can help you better manage your booster club financials without costing an arm and a leg! Online accounting programs track all types of organization financial transactions and are either Software-As-A-Service (SaaS) or Application Service Providers (ASP). A SaaS software lives in the cloud. An ASP software is on a business’ local computer and serves as the central hub for business financial information. ASP systems can travel online, but only with limited features. No matter which type of system you choose, both system types have vendors that host your financial information. A web-based SaaS system has a vendor that routinely backs up the information in the system, as well as continually updates and maintains it. The responsibility of managing backups for Booster club finances then weighs less on a club. A SaaS system allows for online payments, employee portals, and a supported interface for employees and customers. You can also access this system anywhere, since it’s online. These attribute makes the system further compatible with the web. A system of this kind has requirements, to secure your data, that actually tighten security. Due to repetitive, redundant backups, this system’s crashes don’t decimate data. The system, although based online, permits downloads. A user can therefore store information on a computer and on a cloud. Because of monthly or yearly payments, upfront costs for the system are minimal. Over the long-term, the single, upfront cost of an ASP system will likely amount to less than the sum of SaaS monthly or yearly payments. Larger organizations with more complicated accounting may better benefit utilizing the on-premise ASP system. There is much more control over the actual system that your ASP is running on – so if for some reason the SaaS system is down for updates, maintenance, etc., your ASP, being local, is most likely going to be up and running as long as the computer it is installed on is operational. SaaS systems are reliant on an internet connection – an ASP system can work independent of the internet with backups to an offsite location happening as needed or scheduled at specific times. With a basic understanding of accounting systems available and with how we are going about our review of online accounting systems, let’s dive into our comparisons! Our primary focus is on comparing five software packages that are either SaaS or ASP accounting systems and can manage your booster club accounting. 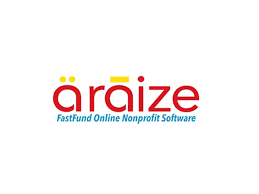 Designed specifically for nonprofits by certified public accountants, FastFund is a commercial SaaS web software. Its features span from account monitoring to customer relationship management to security. These functions the Fastfund team explains if you don’t understand and trains you if you need instruction. So, you can smoothly come to understand the product, its modifiable costs, etc. Ability to monitor accounts, track expenditure, allocate by percentage and project code, and set default account distribution allocations. Ability to simplify its data as reports and graphs. FastFund Online Nonprofit can track vendors, record invoices, produce client lists, and be automated. Its fundraising feature can maintain one database for all your clients, vendors, donors, employees and constituents. It can also conduct constituent, campaign, membership, alumni, volunteer, and moves management. 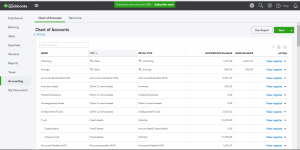 Ability to generate bills with user-defined items, values and classification. Once it has the bills, it can separate them by type and source and apply payments against open bills. Its payroll feature is capable of tax e-filing, year-end W2 processing, automated accounting posts, batch payroll processing, etc. FastFund can do duplicate searches, merge year-end closing entries, process gifts, pledges, cash, etc. It is also capable of maintaining complete, multi-level security with passwords and seamless integration. Finally, if the above options don’t answer your question(s), you can contact their support team directly through the website, by email, or by phone. FastFund has multiple purchase options ranging from free to just under $100/month depending on your needs. Accounting software that has accounts payable and receivable and cost allocations costs around $38/month on the low side and $85/month on the premium. Fundraising versions have low and high amounts. Adding payroll functionality can bring you up to roughly $60 per month. Given the minimal needs of most booster clubs however, the cost usually falls under $50/month range. QuickBooks Nonprofit is a SaaS web software. It can benefit you with donor lists, funding tracking, and IRS compliance among others features. QuickBooks is really beneficial with its robust support of tutorials, training materials, and an online forum. Furthermore, Quickbooks has a wide range of software plans for specific needs and budgets. 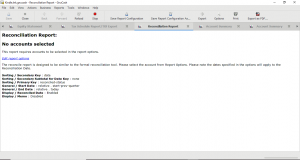 QuickBooks Nonprofit can separate accounts and create customizable, automated reports like Statement of Financial Position, Budget vs Actual, Statement of Financial Activities, etc. It can create and fill lists with thousands of donors and volunteers. Quickbooks can take funds and donations by credit card, debit card, bank transfer, cash, or check. 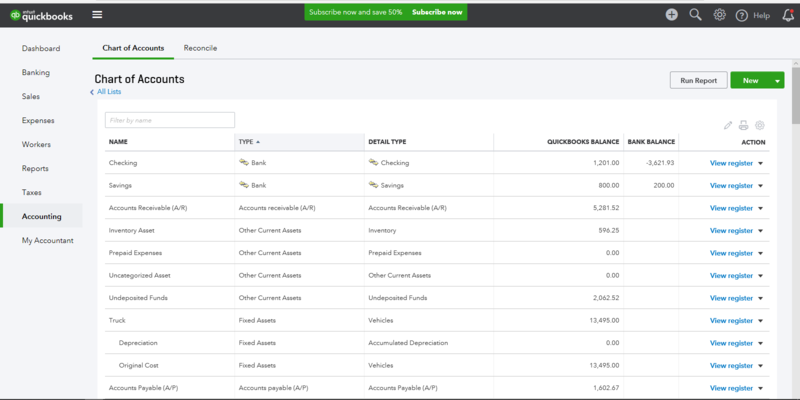 If you connect your bank account, QuickBooks can download transactions, categorizes them and updates them. QuickBooks can also receive funds from donation apps. It can implement user permissions for 115 activities. QuickBooks can comply completely with the IRS. Phone support – is primarily there to answer top level questions and resolve pricing / sales issues, unless you pay for a support package that allots specified phone support times. Live chat – Mainly top level support around sales and specific problems or issues. QuickBooks’ price options range widely. The primary ones are Simple Start, Essentials, and Plus for a monthly $20, $35, and $60. The others pricing options are Self-Employed and Advanced for $5 and $75. If you are not happy with a price point, you can upgrade or downgrade. Furthermore, if you are within the 30-day free trial, there is no cost adjustment that needs to be made! Unfortunately,free trials of Advanced aren’t available, but we don’t recommend starting with that version unless you are already experienced with QuickBooks and know you will utilize all of the Advanced features. 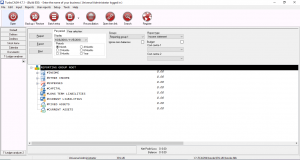 TurboCASH4 is an on-premise, open source, double-entry, bookkeeping ASP style software. It provides income, asset, and liability analysis, bank reconciliation, event monitoring, to name a few. The weak point with TurboCASH4 is that its support only really self-lead with no advanced options. TurboCASH4 can analyze and manage income, expenses, capital, assets, and liabilities. It can produce reports like Trial and Column balances, Point of Sales, User and more! The software can conduct bank reconciliation – matching the cash account records to the bank statement information. Tracks debtors, creditors, purchases, orders, supplier returns, invoices, and credit notes. TurboCASH4 can monitor events and track tasks, not to mention keep an alphabetized list of contacts. The main support for TurboCASH4 is through its Quick Start page, TurboCASH’s online forum, and the help manual. For its Quick Start, TurboCASH4 utilizes FLIPGRID. There are videos to explain installation and other basics of getting started as well as a discussion center. FLIPGRID might seem to defeat the purpose of a support center, but its advantage is the creation of groups allowing the discussion of specific issues. If you need a deeper dive into functionality and help, the other option is to use TurboCASH4’s comprehensive help manual. Here you find in-depth explanations for nearly every TurboCASH4 feature. As far as videos and related help manual material the downside is that it is mostly geared towards TurboCASH5 features. In that respect, you will need to be careful and perhaps make some adjustments when utilizing their help manual and associated videos. TurboCASH4 is the company’s free version, but to get the upgraded additional features that come with TurboCASH5 – you will need to pay a single-user, business-class subscription of $60 a year. If you need more than one user, then three users is $200 and seven is $400. 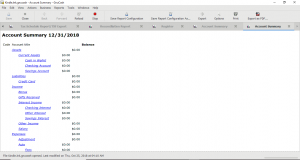 GnuCash is a double-entry, on-premise open source ASP style accounting software. Its easy interface, split transactions, customer tracking are some of its productive features. Another great feature is the active GnuCash community that is extremely helpful no matter how versed you are in accounting and GnuCash itself. The following outlines the capabilities we think best fit for use with booster clubs. Gnu Cash can categorize cash flow. Its accounts receivable and payable can organize employee payroll. GnuCash is able to reconcile accounts. It can generate varying customizable graphs and reports like Balance Sheets, Profit and Loss, and Portfolio Valuation. GnuCash can enter split transactions and permit check, credit card, income, stock, and currency transactions. It can also auto-fill transactions, create recurring transactions, schedule transactions then postpone them, automate reminders of them, and easily identify those untracked. It can track customers, vendors, stocks, and employees, create invoices, and adhere to tax and billing terms. 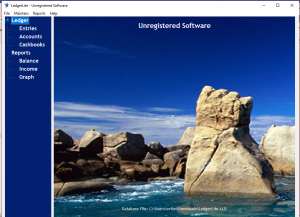 The software can identify and delete duplicate files. GnuCash can automate portfolio and price updates. GnuCash support is pretty robust considering it is open source software. They have different ways to help you as you get familiar with their system including: Using Gnucash Page, User Guide, a FAQ, User email lists, and Internet Relay Chat (IRC). The Using GnuCash page is similar to a Quick Start page in that it shows you the basics of how to use the software. As you become comfortable with the software, they user guide steps up to help you with more in-depth information as well as accounting principles. If the user guide and FAQ don’t resolve your issues, their unique user email list connects you to community members who are usually pretty quick to help. For even more help and technical issues, you can talk ton developers through their IRC chat. The GnuCash software is completely free but does need community support to be kept so. Depending on your background and ability you can donate time to the project through programming, software testing, financial donation, write documentation, translate documentation or just provide feedback. While to cost to utilize GnuCash is minimal, it does require a bit more technical know-how and comort with the internet than other systems. LedgerLite is another double-entry bookkeeping ASP style shareware. The software can keep unchangeable records perpetually and handle multiple users. It doesn’t cost extra to someone else on your staff use the system to help manage or fix an issue. LedgerLite can thematically group accounts, connect them to bank accounts, and depreciate your assets account. And by account or by day it records ledger listings. 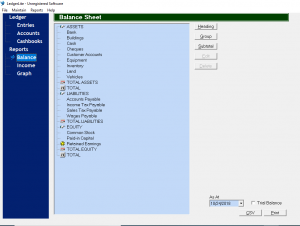 Its balance sheets can measure assets, liabilities like tax, and equity like stock. This information the graphing tool then simplifies visually. LedgerLite can maintain an immutable record of all transactions, and to secure them, you may make AES 128-bit encryption passwords. 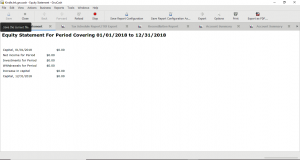 It can generate printable, comparative income statements, account statements and summaries, expense reports, and a varied bundle of other statements and reports. It can support multiple users if you use a TCP/IP (internet protocol) network. LedgerLite is shareware can be modified easily. It’s compatible for use on Windows, WINE, or a Windows emulating software. The main support for LedgerLite is its Quick Start page, its FAQ, and some YouTube videos. 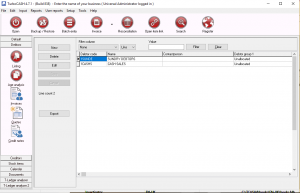 The Quick Start page gives you a top level overview of how to use the software. It gives you the basics to get you started and an understanding of how the software works. The FAQ page answers numerous questions in more detail depending on the subject. For any issues that you cannot find answers to, you can then also communicate with the support team over email or through a computer sharing software called TeamViewer..
LedgerLite is free for 30-days, after which you need to register your version for a one time $50 fee. Were you to need more advanced functionality, you could upgrade to LedgerPlus ($180) and its extra features of POS, VAT and GST calculations, invoicing, and more! Every small business needs an accounting software to oversee revenue and expenses and ensure that the business is moving in the right monetary direction. Nonprofits like booster clubs have much more oversight and to help make sure that the organization maintains its 501(c)3 status, financial management of donations, grants and expenses becomes that much more critical. Any of the accounting software systems reviewed would work really well for your booster club and at the least would help ensure better financial management. Top High School Tennis Fundraisers from the Top USA Tennis Teams! Booostr.co is a comprehensive index listing 1000’s of booster clubs around America. In addition to being the only Booster Club Index online, Booostr is also a platform designed for booster clubs to network and manage their day to day business. The Booostr Newsletter is the best FREE way to keep up on our weekly articles, access new reports and learn strategies to help your booster club!